Wool-Aid shipments are going to many different places this winter! From the high plateaus of Tibet to the coastal areas of Greece, from the remote mountainous area of Nuristan in Afghanistan to the far northern areas of India. Wool-Aid finds a way to go where few aid agencies reach. Most of the young monks, as well as the nomad and orphan children, are 6 to 12 years old. Most of the young monks are 12 to 18 years old. Most of the young nuns are 14 to 19 years old. Focused on children 6 to 18 years old. Focused on children 5 to 18 years old. 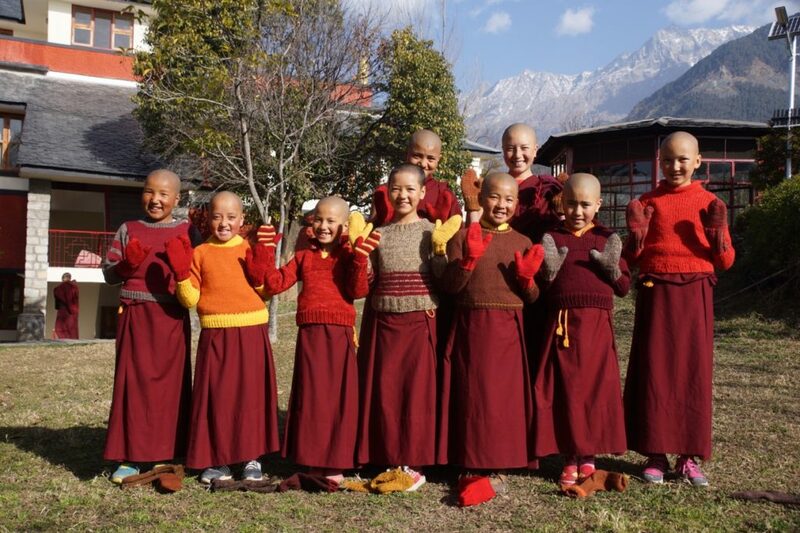 The picture above shows some young Tibetan nuns with their sweaters, mittens, and socks from Wool-Aid, received early in 2018. This picture is featured on the Tibetan Nuns Project 2019 calendar.